Late Start – Scheduled late starts are for secondary students only, bus loads 2:00 hours later than the normal load time. Refer to the school district calendar for the scheduled days. 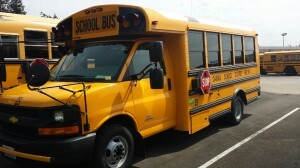 Inclement Weather Late Starts – All students board the bus 2 hours later than the normal pick up time. “Snow Days” will be communicated to parents through school messenger or by local media, and on the school website. This affects all students in the district. 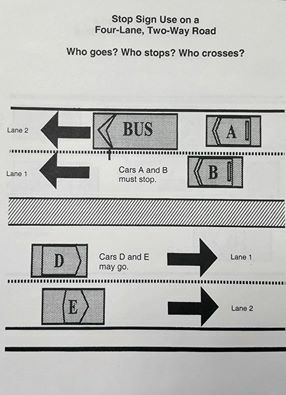 Drivers in Washington state are not required to stop for a school bus on any highway (Under Washington law, any public road is defined as a highway) with three or more lanes when traveling in the opposite direction. This has been interpreted to mean that when approaching a bus from the opposite direction on a normal road with a turn lane, or a road with two lanes in each direction, etc., a driver is not required to stop their vehicle. This is an unusual law, but arguably leads to a higher safety level for children, as they are then required to be dropped on the same side of the road as the bus exit on anything greater than a two-lane road as provided by RCW 46.61.370. 3. Foggy mornings: Please turn on your headlights and / or fog lights. It’s difficult to see vehicles as they pull through the fog that have no illumination.